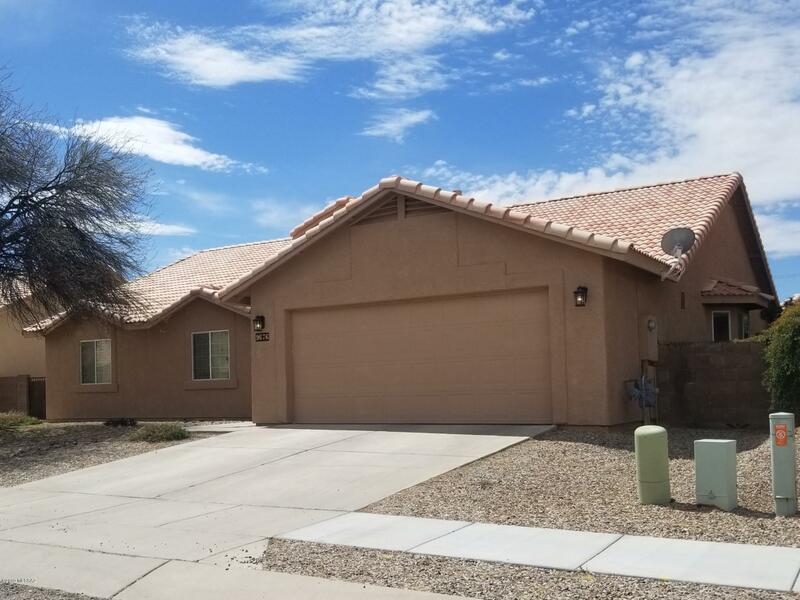 This home is ready for new owners and is in TURN KEY condition. 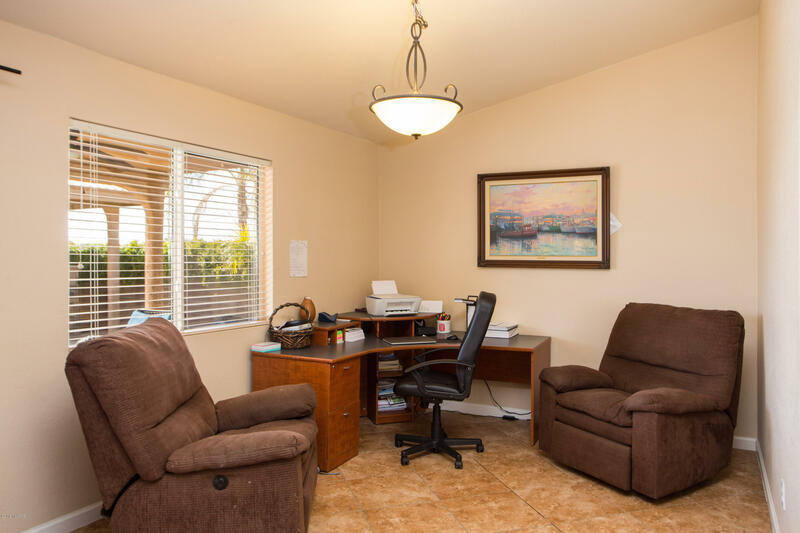 Single story on an extra large lot & house is set back from street and has curb appeal. 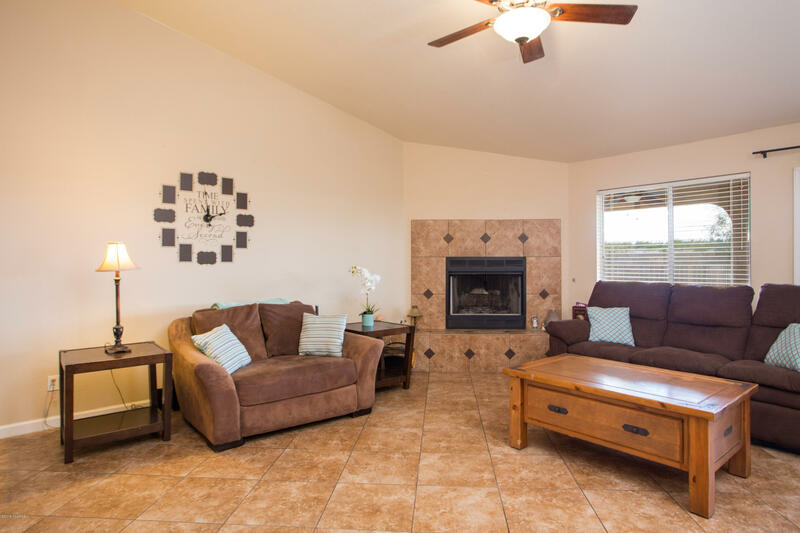 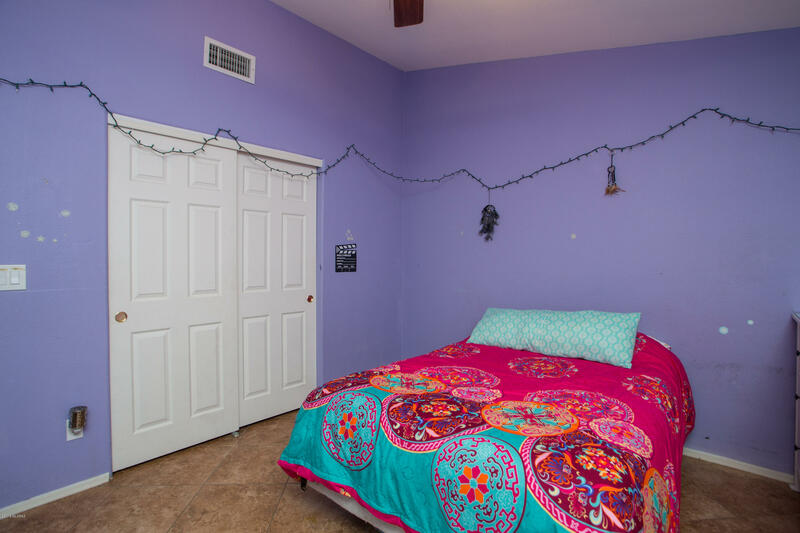 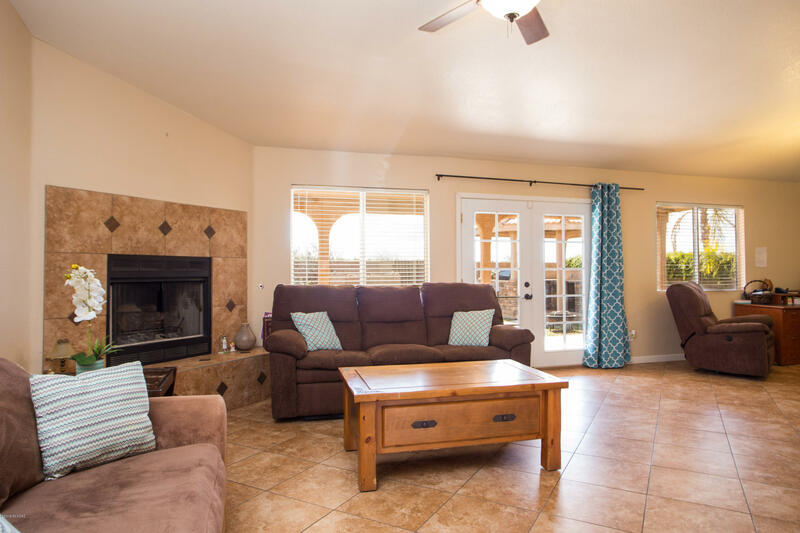 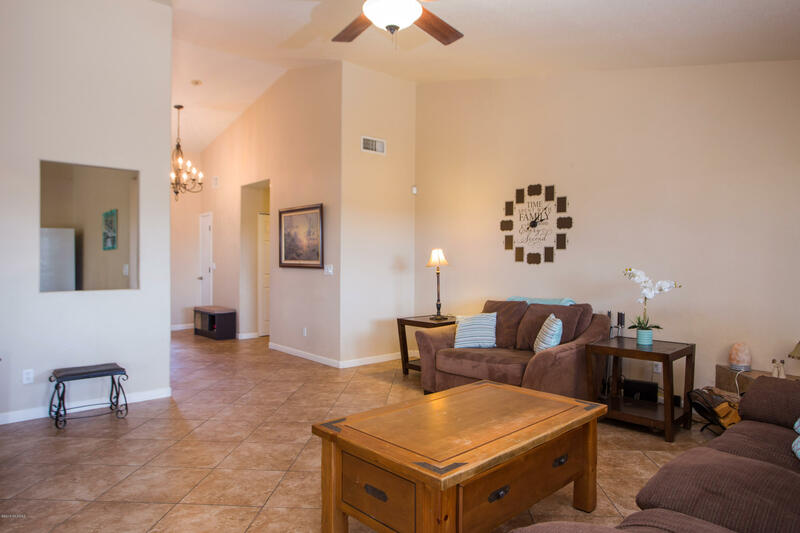 Large 4 bedroom home with vaulted ceilings, earth tone colors and ceramic tile throughout. 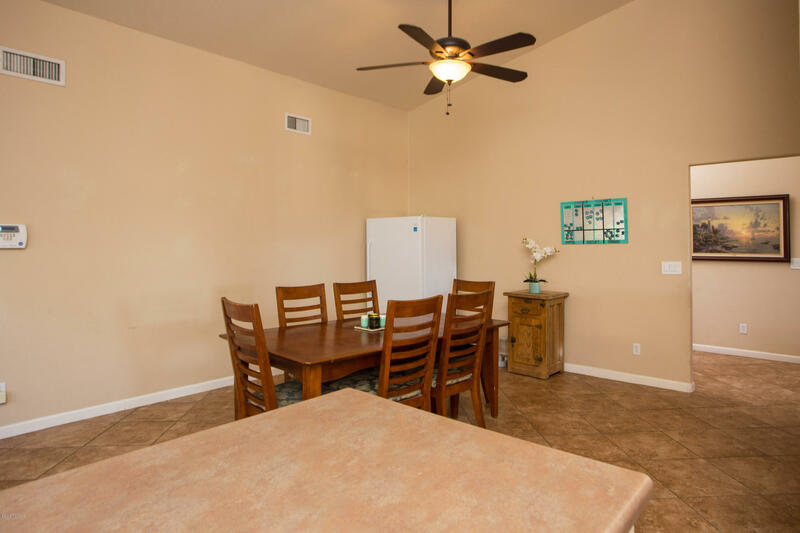 Large rooms with ceiling fans, wood shutter blinds and high ceiling. 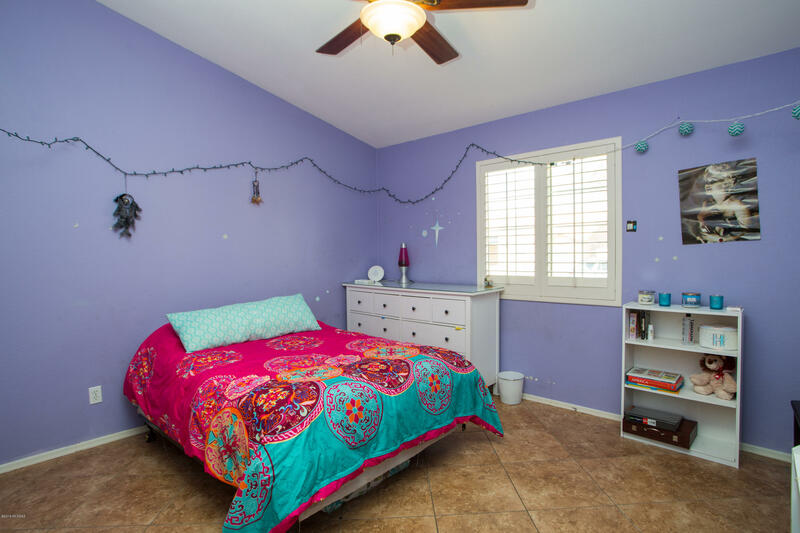 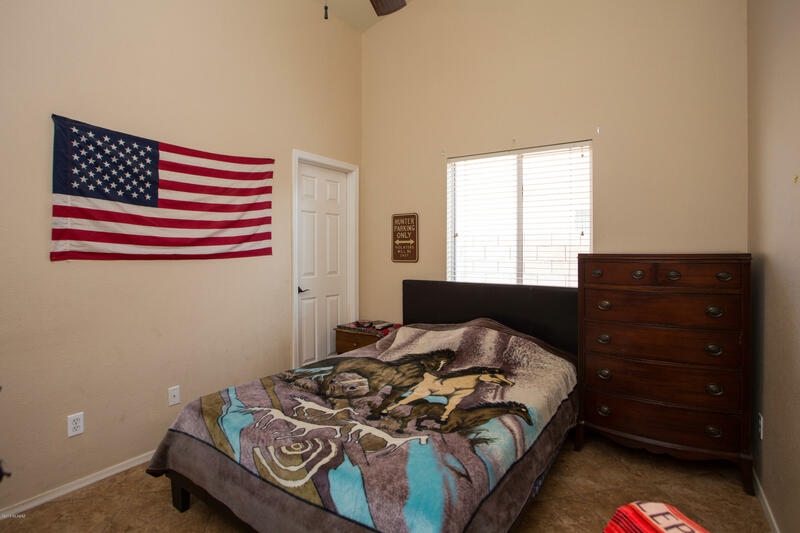 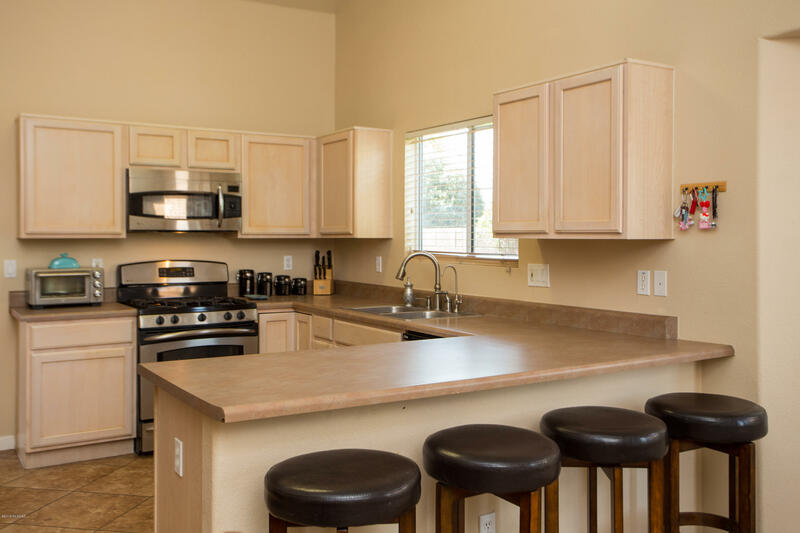 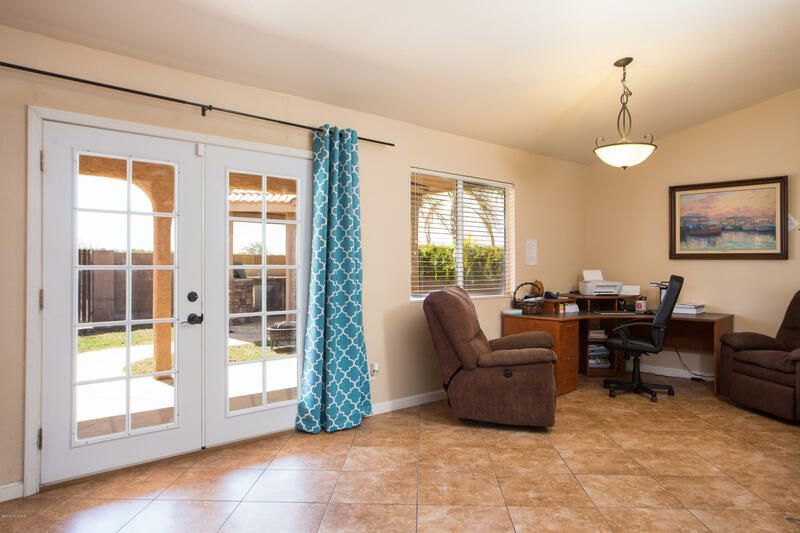 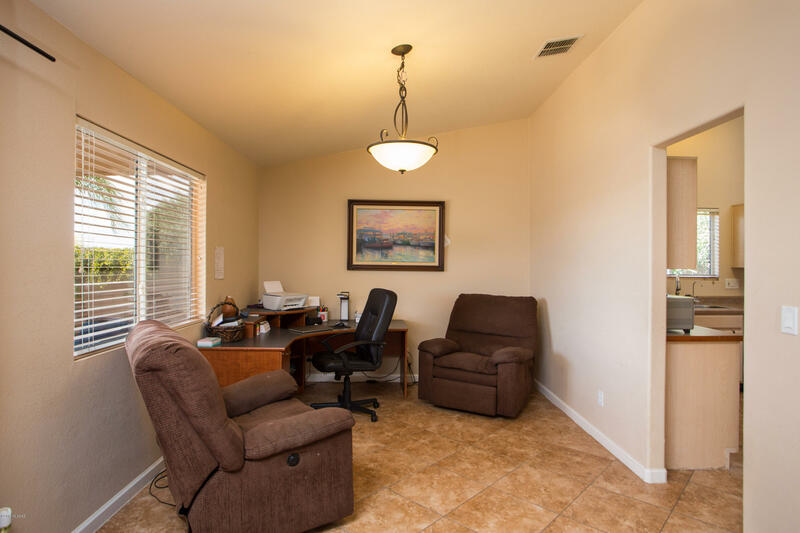 Both bathrooms have been upgraded & remodeled with tile walls, floors & custom glass doors. 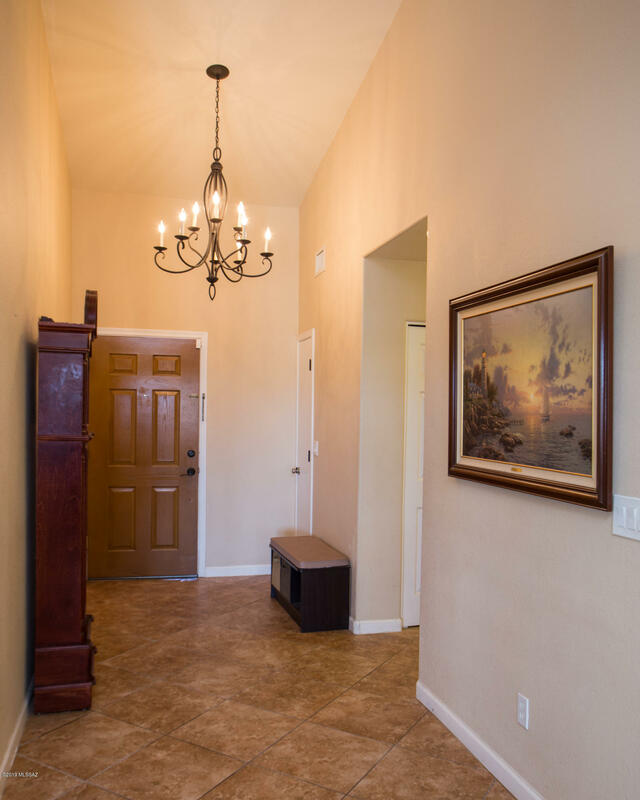 Entry foyer is impressive and leads into the Family room with a corner fireplace and views of pool and Gazebo. 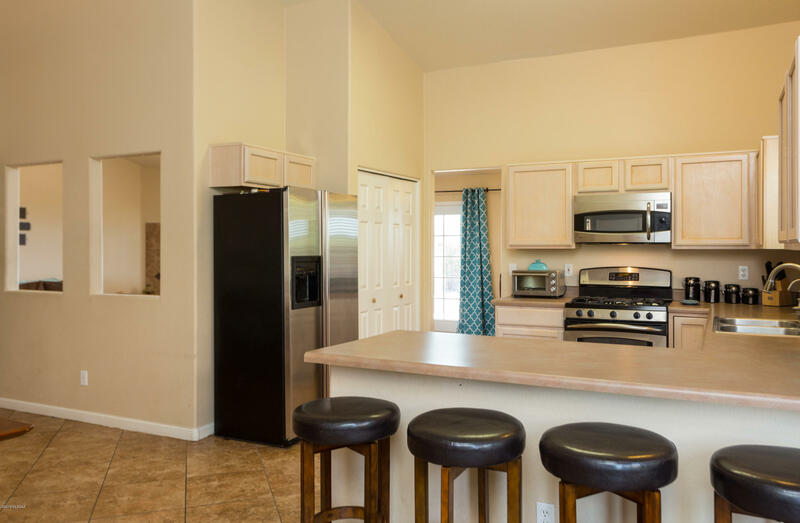 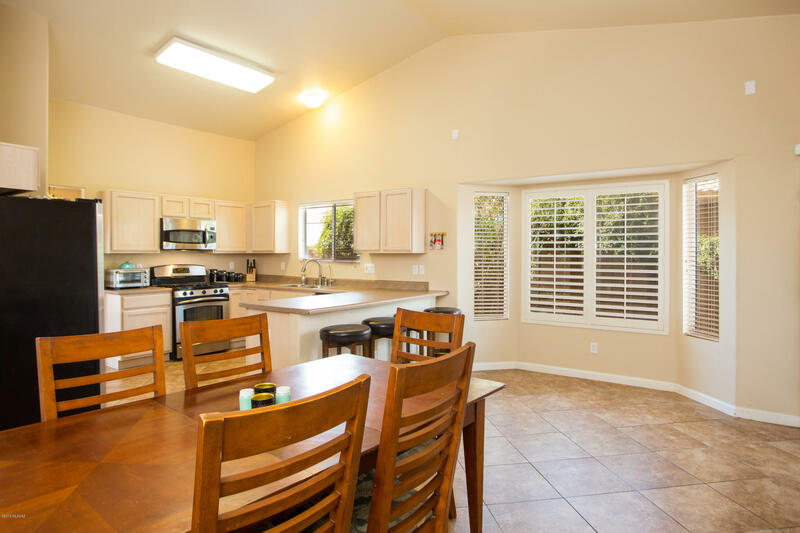 Formal Dining area &separate breakfast nook with window and large open kitchen includes stainless steel appliances and reverse osmosis waster system under kitchen sink.